PTDT will participate in YoloArts’ “Artistic Sensations – Building Art Education Brick by Brick” on Friday, May 16 from 6:00-8:30pm. In addition to PTDT dancing, you’ll see original “brick” art by regional artists, buffet dinner by BlackPine Catering, local wines, and live music by Yolo Mambo. All proceeds will go back into Yolo County classrooms to fund art education programs including: painting, drawing, ceramics, digital art, ceramics, dance, music and theater. Tickets and more information can be found on YoloArts’ website. PTDT will perform “Orchestrated Incident”, The Apprentice Company will perform “Friends”, and Third Stage will join the improv pieces performed by all three companies. 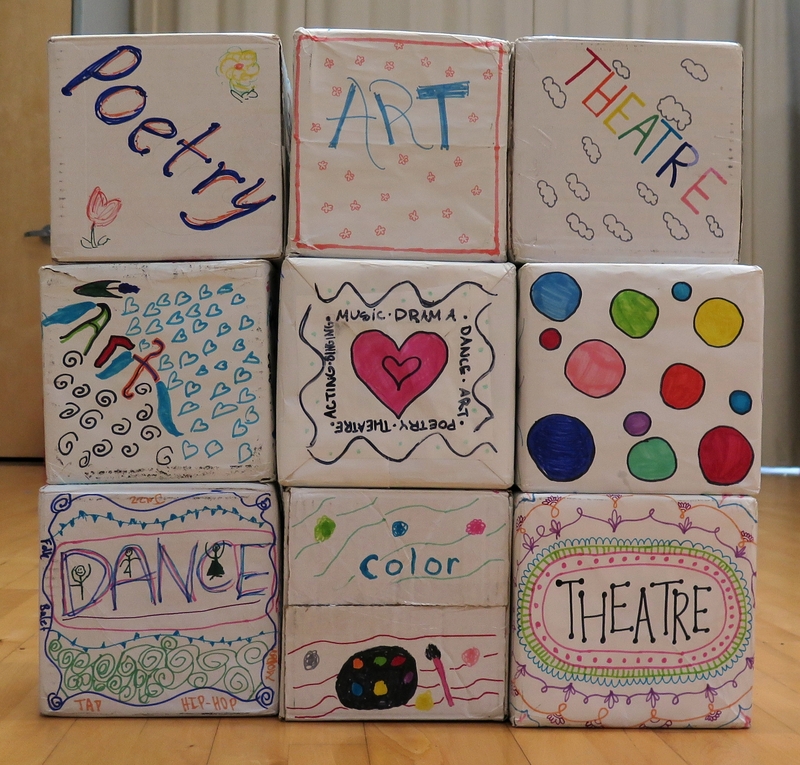 The Apprentice Company decorated boxes for use in the improv sections during a recent rehearsal, just to make sure we included as many forms of art as possible for this important performance.